Pickles Posse Commercial Arts Shirts! All funds raised will be paid directly to Richard O. Jacobson Technical High School at Seminole for Commercial & Digital Arts Class. This fundraiser directly supports the commercial & digital arts class as we pursue supplies like ink, custom papers and things like bus rental costs for field trips and industry visits. 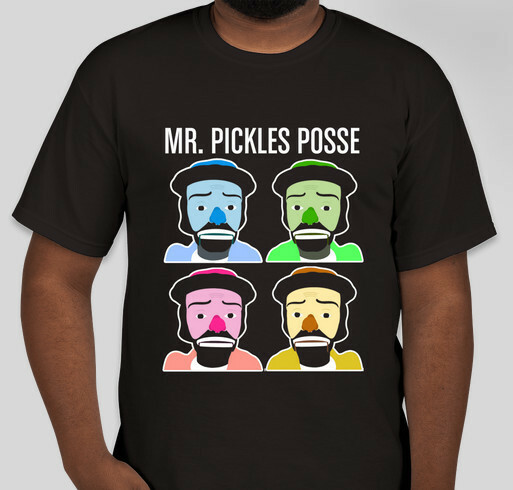 The 'Pickles Posse' refers to followers and fans of the class and Mr. Pickles, the class mascot for over 20+ years whose face appears on the shirt. Share Why You Support "Pickles Posse Commercial Arts Shirts!"